A huge thanks to Dave Ramsey’s EveryDollar for sponsoring this post. My favorable opinion of awesome programs that make my life easier are 100% my own. 🙂 For more information, see my disclosures here. I’ve talked before about how Donnie and I are on somewhat opposite sides of the paper/paperless debate. He prefers everything paperless and does all record keeping, note taking, and planning electronically. I started out completely attached to my pen and paper, but he has slowly been luring me to the other side. 🙂 Though I still like to do a lot of my planning on paper, our household records, bills, and files are all currently paperless. When it comes to making our budget, we’ve tried both ways. 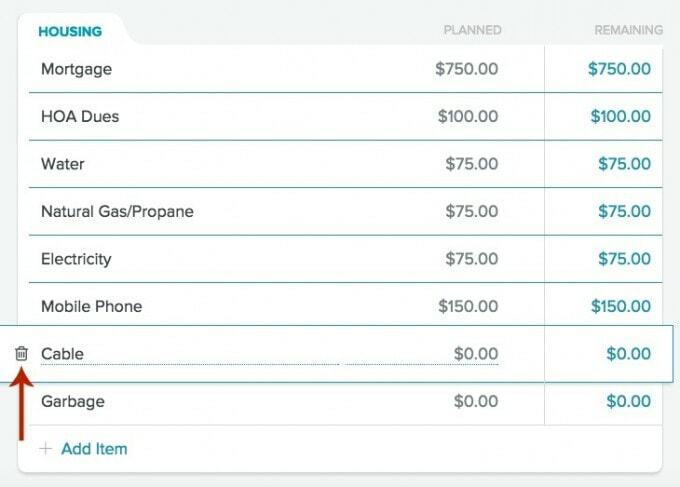 A while back we had an online budgeting system that was supposed to sync between our computers and smart phones and make our lives easier. I loved the idea of it, but in practice, it was glitchy, so we ultimately gave it up. I came up with my printable budget binder, and we’ve been using it ever since. Now, I love, love, love my budget binder, but there are a few things that are more difficult with a paper budget vs. electronic: 1) There is only one, so only one spouse can have the binder in their possession at a time, and 2) It was too bulky to take with me everywhere. I ended up saving all of my receipts and entering them when I got home, but being able to enter everything at the time of purchase would have been convenient. 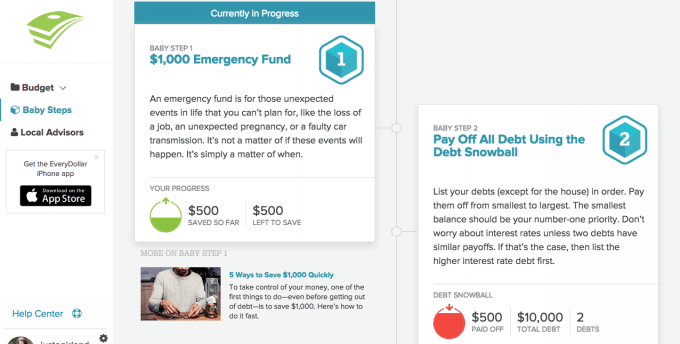 After the mess that was our previous attempt at an electronic budget, it was going to take a lot for me to attempt it again, but when my favorite budgeting guru– Dave Ramsey– rolled out his own online budgeting resource, I knew I had to give it a try, and I am SO glad that I did! If I was going to create an online version of my budget binder, Dave’s program EveryDollar would be it. It applies so many of the principles that I used when I came up with my paper budget binder, and I love its convenience and simplicity. Because I think this is such a valuable budgeting tool, I created an example budget and decided to do a little walkthrough of EveryDollar to show how easy and effective it is. As I did with my paper budget binder, I needed to start by getting my budget set up. I headed over to EveryDollar and created my account, and the first thing I was invited to do was start my “EveryDollar budget.” If you’re familiar with Dave Ramsey’s principles, you know that he believes in assigning every dollar a “job.” Basically, you take the amount of money you make each month, and divide it amongst your bills and expenses, putting every cent you make into a designated category until each dollar is accounted for. That’s what they mean by an “EveryDollar budget.” So I started by entering my [example] income and then began to fill in expenditures in different categories, starting with giving. As I enter my information, you can see that the graph on the right side of the screen updates with my income and expenses, including a percentage amount. I really liked that EveryDollar broke down the expenses into various categories and had pre-filled some of the more common expenses like mortgage and groceries, which could be added to or removed if need be. For example, we don’t have cable, so I was able to click the little dots beside the pre-filled “Cable” category, a trash icon showed up, and I clicked it to delete that category. Like I did with my paper budget, I started by entering the expenses that are recurring each month, things like a mortgage, auto loans, insurance payments, utilities, etc. Once I had filled in my fixed expenses, I was able to see how much I had left for my non-fixed expenses like groceries, clothing, gas, entertainment, etc. 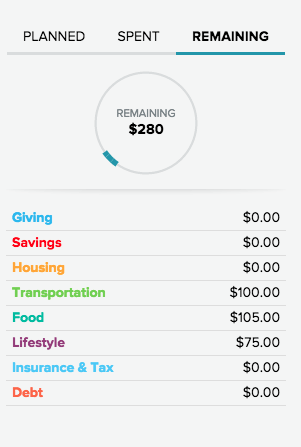 As I filled in my categories, there was a little bar at the top of the screen that kept me updated and told me how much money I had left to assign to different areas. Once each dollar was accounted for, the program let me know that I had successfully created my EveryDollar budget! Yippee! So once I had my budget all filled out, as with my paper budget, I could start tracking my expenses to make sure I was staying under budget in all of my different categories. Let’s say as I was setting up my budget on my computer, I decided to enter the receipt from yesterday’s grocery trip. I click on my “Groceries” category and choose “Add New Transaction.” Here I was able to choose the date, amount, and merchant. One really neat feature on this screen was the “Add a Split” option. If I’m at Trader Joe’s and I decide to buy flowers, which would fall in my “Fun Money” category rather than “Groceries,” the “Add a Split” feature allows me to split up my total right in this one screen rather than having to make two separate entries for purchases at the same store. This would especially come in handy at a store like Target, where I might have groceries, clothing, home decor, and gift purchases all on the same transaction. Being able to enter my receipts on the computer is great, but what is really convenient is being able to update my transactions right when they happen at the store. 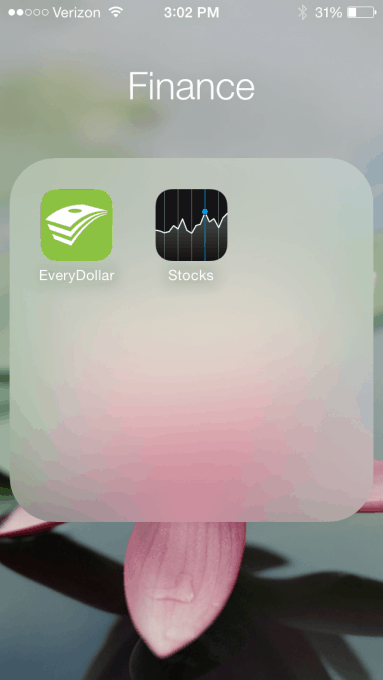 I was able to download the EveryDollar app on my iPhone so I can enter my spending immediately. My account is synced, so whenever I update my budget on the computer, the changes reflect on my phone, and vice versa. 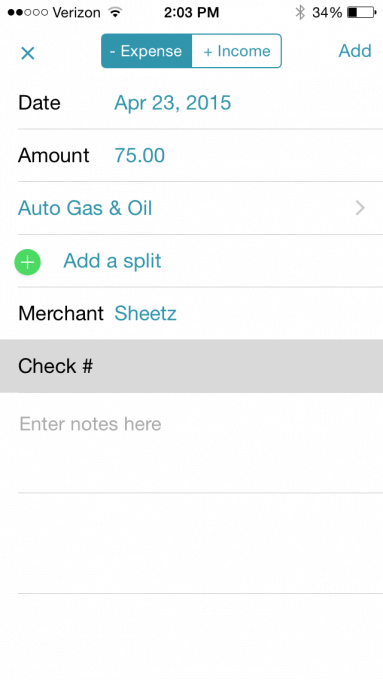 Entering transactions on my phone is equally as simple as on the computer. With similar options to the web version, I can fill in my info right as I’m checking out at the store or filling the pump at the gas station. It’s so simple, and I always know with one glance where we stand for the month. If it’s April 23rd and our grocery budget is almost depleted, I know I’m going to have to get a little creative in the kitchen for the rest of the month. 🙂 If it’s nearing the end of the month and I haven’t touched my clothing budget, I’m able to snag that new top I’ve had my eye on guilt-free because there is money in the budget designated for that. 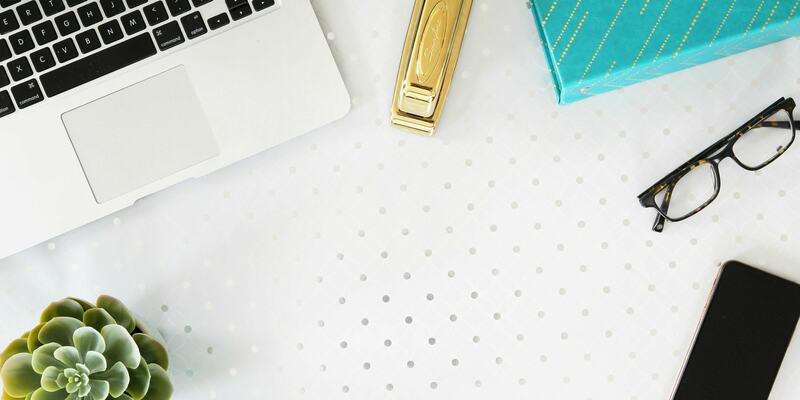 It’s really easy to get a snapshot of what my spending looks like for the month– where I need to be cautious and where I have a little wiggle room. 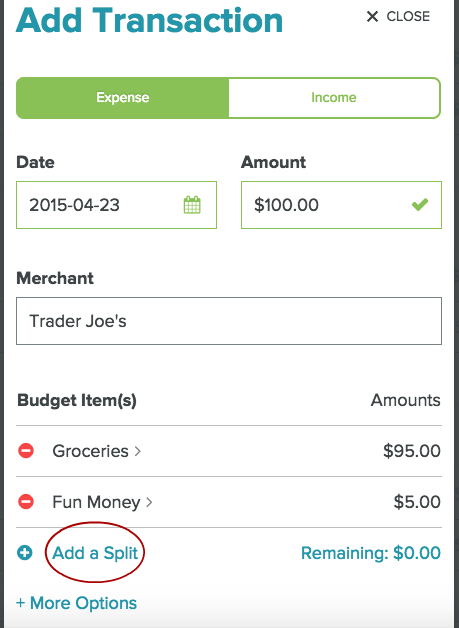 All of the features I mentioned above are part of the free version of EveryDollar, but their Plus version makes tracking your expenses even easier. 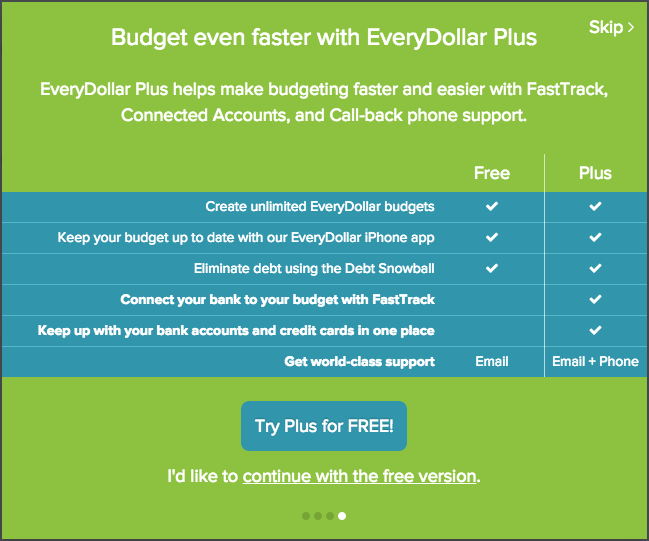 For just a few dollars per month, you can connect EveryDollar with your bank account and the “FastTrack” feature will automatically download your transactions for you– all you have to do is put them in the correct categories! EveryDollar Plus also allows you to manage your bank accounts and credit cards all in one place. For me, it’s really encouraging to see a visual representation of my progress. I want to see my emergency fund go up and my debts go down each month, and since it’s so easy to check in on my progress, I’m motivated to keep those numbers moving in the direction I want them to go. It doesn’t take much poking around this blog to figure out that I am a huge, huge, huge proponent of budgeting! The task might seem daunting, but it is so important, and if you find the tools that work for you, it will be much easier than you think. If you’re a paper and pencil person, by all means, snag my budget binder printables and hop to it! If you are more comfortable with paperless technology and an electronic budget, I encourage you to pop over to EveryDollar and give it a try. I cannot express how freeing it is to be in control of where our money is going rather than feeling that helpless feeling when there never seems to be enough at the end of the month. Budgeting has been a total game changer for us, and I hope that it will be for your family as well. Happy budgeting! 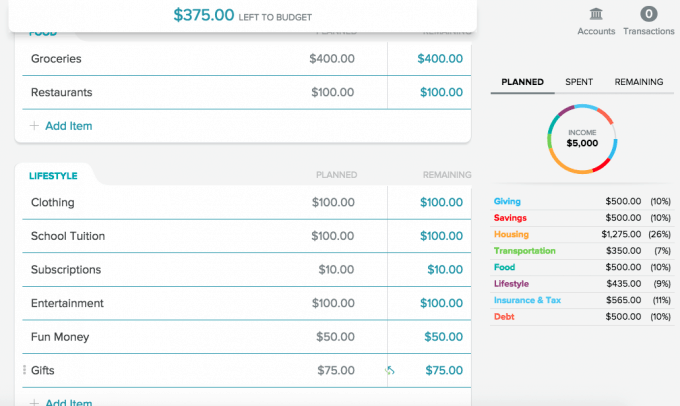 What budgeting tools have been the most helpful for you? Hi, Kara! As far as Mint vs. EveryDollar, I would say I like the EveryDollar interface better. It’s really well organized, and expenses are grouped into categories, which I like because I can get a clearer picture of what I’m spending my money on. You’re right, though, that there are some expenses when it comes to EveryDollar’s options. With budgeting, I think the biggest key is just finding a system that you’ll stick with, so if Mint is working for you, definitely keep using it! If as you use it longer things aren’t working so well anymore, try EveryDollar or the paper binder. We’ve done a bunch of different options during our marriage because we’ve had different needs during different phases of our lives, so we just find what works for that phase! Thanks so much for checking out my post! Have a wonderful day! I’m such a pencil and paper kind of girl when it comes to budgeting… and pencil not pen, I like to be able to erase! My hubby is much more of the tech guy (maybe its a male female thing??) I’ll have to check this out, it looks worth a try! Hi, Abby ~ Great post! Robb and I often talk about how much better we do with our money when I’m logging expenditures on a daily basis. I can only imagine how much we’d improve if we were tracking it on the spot! I’m so excited about EveryDollar. Thanks for sharing! This reminds me a lot of Mint, and we really love Mint. Something we love about doing it through an app is that we can easily update the budget throughout the month (instead of putting everything at the end of the month and holding our breath like we used to do). I also love that I can split the expenses easily. I loved this post! It was just the kick in the pants I needed to start using the EveryDollar system. Thanks so much! Thanks for sharing. I have been looking into EveryDollar for a few weeks now and was so excited to see your review. I have it on my to-do list to set up. This post came at the perfect time! 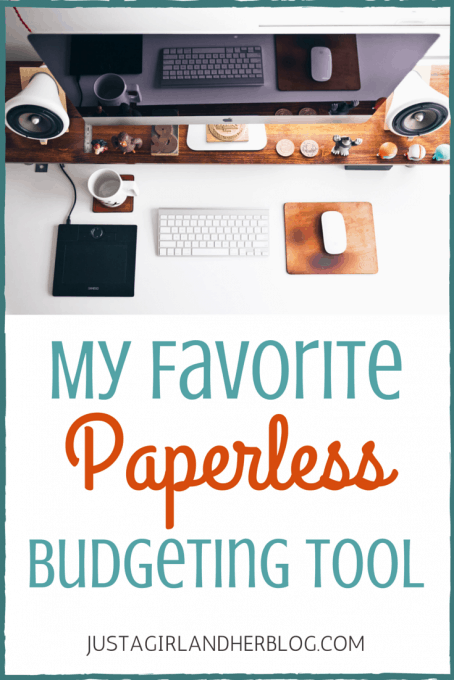 I actually found your website through a pin of your budget binder, and I love it! But like you said, I think a digital version is better so my husband can be in on it too. I have been trying various online tools and none of them worked for me. I also tried creating a system in Evernote… Another fail. I think this one will be absolutely perfect as we are trying to follow Dave’s principles. Thanks for a great post, Abby! Oooh, I will have to check this out. I love all things Dave Ramsey 🙂 Though, like you, I tend to be a paper/ pencil person who loves my binder. This may convince me. Have you guys done mint.com or you need a budget (ynab)? What do you think about those? Hi, Sarah! We used YNAB a few years ago, and we liked a lot of it’s features. The syncing was a little glitchy for us, which got frustrating, but they may have fixed that by now. They also have a very specific budgeting strategy, and if we didn’t want to use their exact strategy, it got a little hard because the program was only set up to be used that specific way. I have played around in mint a little bit and I know a lot of people that love it. It is a really good free option. I don’t like the interface or the organization of it as much as EveryDollar, but it is still a good program. I think the key with budgeting is finding the program that you will stick with and running with it, so if you come across one that works for you, go with it! Yesss! I love EveryDollar so much! We went to the Smart Money event, and as soon as they started talking about it I immediately signed up! It’s wonderful! OMG! where do I start? I’m young and there’s sooo much I would like to achieve. Of late I’ve been trying to a lil organizing here and there and do some saving. I’m currently addicted to your site because of how inspired I am about all the info you got here and can use! I’ll def. will be writing(emailing) you soon because I have tonz of questions to ask. lol! This may be obvious to someone who is more tech savvy than myself, but will my husband and I both be able to use the app on each of our phones with only one downloaded plus membership, or will we need to download the plus version to both of our phones and pay two subscriptions? We are both Dave Ramsey fans, so thank you for doing such a thorough review of this product. I was definitely curious about it! 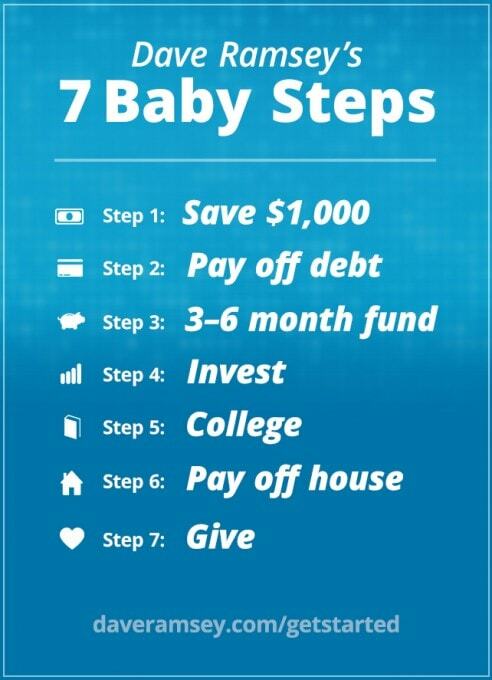 I set up Dave’s budget this month after our daughter heard about it at his seminar. It is terrific. I am still learning how to work with the savings accounts, investments and funds. Would love to see a post on these as the Help articles in EveryDollar are limited. Last December, I used your printables to create my budget binder for 2015. It’s the first time I actually set a budget and it has saved my sanity. I have tried Mint in the past, and I got so fed up that I quit budgeting altogether a few years ago. I’ve been following your blog for a few months now and I know you and Donnie are trying to make your entire life paperless. I surely hope you create another printable for a 2016 budget binder, because this has helped me take charge of my finances SO, so much. Hi, Rachel! No plans to get rid of the paper option! I totally understand the need for pen and paper, as that is most often my preference too! I just wanted to be sure to share a paperless option as well because I know people (like my hubby!) are more oriented that way and might be more likely to stick with it. I say, if you’ve found a solution that works for YOU, stick with it, whether it be paper or paperless! 🙂 Hope you’re having a wonderful week! 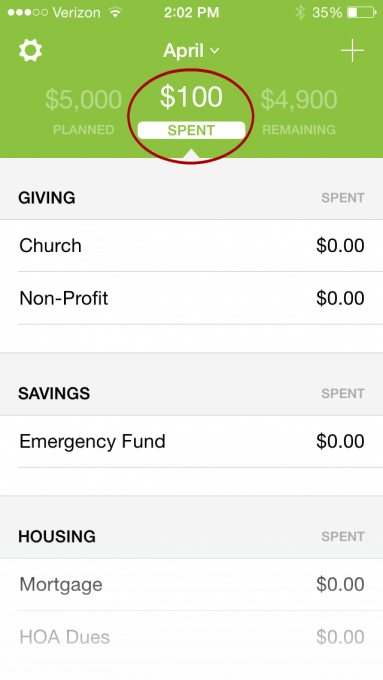 I signed up for EveryDollar the day it went live, and have REALLY enjoyed being able to track expenses on the go. 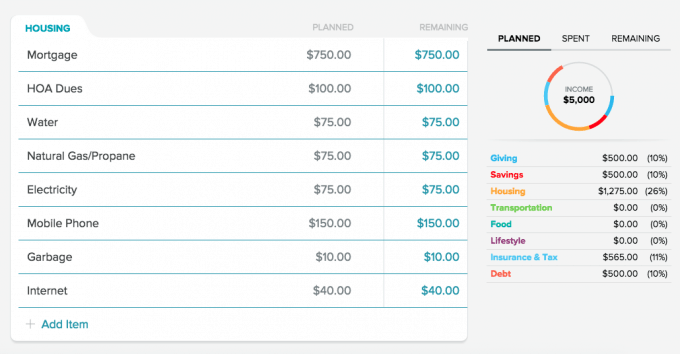 I am typically a budgeting nerd, but this was a game-changer for me. It is so much easier to use than other budgeting tools, and like Dave says, it’s important to have control of allocating where the money is spent, rather than it being an automated feature. Highly recommended! Hi Abby, thanks for your blog. Just a quick question, does the Every Dollar program allows for any other currency than dollars? Hey Abby, It’s been a few months since you originally posted about Every Dollar. Are you still using it? How’s it going after some time has passed. My hubby and are considering signing up soon and wanted some feedback on your experience over a period of time. Thanks! Love your blog!